From Connecticut and New Jersey and New York, this property is easily accessible from Interstate 81. Just twenty minutes to Binghamton, Cortland and Norwich. If you like to ski, in approximately twenty minutes you will be at the newly renovated Greek Peak Ski Lodge. If you like to hunt, trap and fish, this land has it all. There are deer, turkey, coyote, rabbit, squirrel, small and large mouth bass and bull heads. You can find all types of small game right here in your own backyard! The main cabin which is made of board and batten sits off a paved road on an acre of land. The main cabin has a Zodiac wood heat stove, a Vermont Castings stove, water, and electric. It can be a weekend retreat or lived in all year round. The cabin is an open style design with lots of windows all around, especially the back which is mostly all glass. 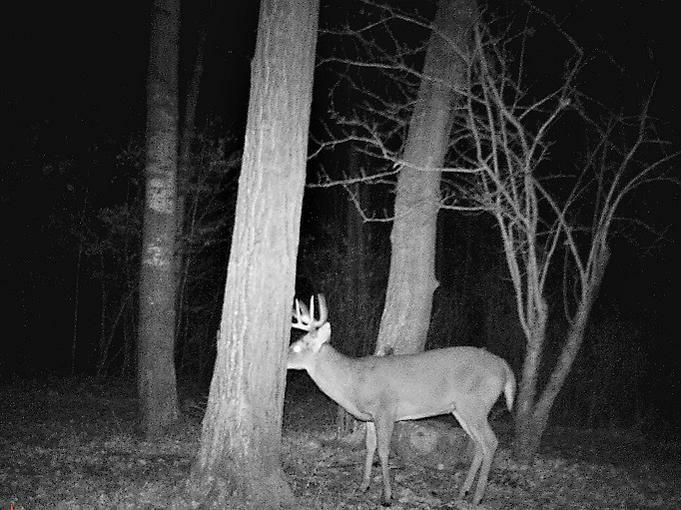 Look out any window to see wild life on the 85 acres of pastures, woods and fields. 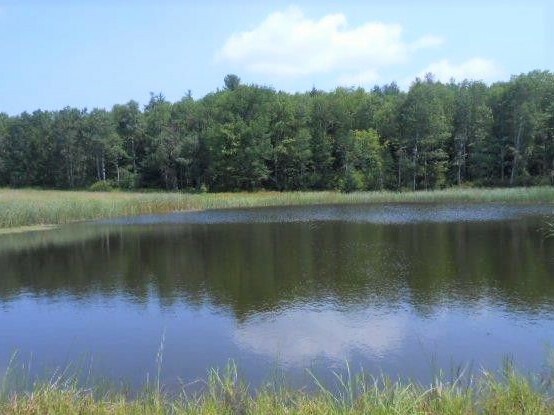 There are two large ponds - one for swimming and one for fishing -- both only minutes from the main cabin up through the woods to the top of the mountain which has a park like setting feel to it. There you will see spectacular views but best of all, there is complete privacy -- no one can see you. The 2nd cabin is an Amish built cabin which was just remodeled with tongue and grove pine on the hill facing the swimming pond. The woods have trails throughout the land, so bring your horses or your ATVs. If you want to raise some livestock, there is a horse barn that doesn't have to be used just for horses. There are two box stalls, one standing stall and one breeding pen. There is also a stallion corral, round pen and a riding arena on the hill. There is a garage and several outside buildings on the property for poultry or just used for storage. Owners are motivated to sell this property asap. Come, take a look! Make an offer!!!!!!! Asking Price $299,000 or make an offer. Note: You can view this property on Zillow.com. 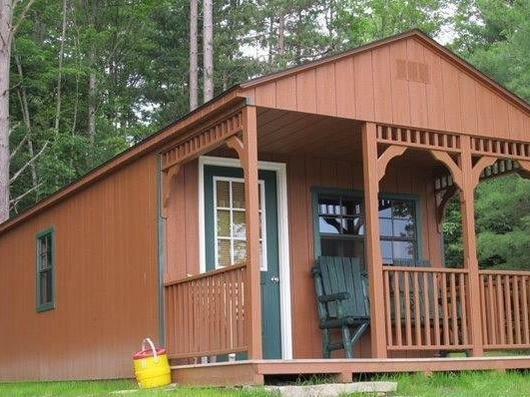 The zestimate that is shown on Zillow & Trulia is for the main cabin ONLY which sits on 1 acre of land. The rest of the acreage (85 acres) is contiguous. Last edited by 11Coonhunter; 01-07-2019 at 03:07 PM. **********PRICE REDUCED********** to $269,900The main cabin sits on 1 acre of land on a paved road. The 85 acres of land go with the main cabin but are on separate deeds. 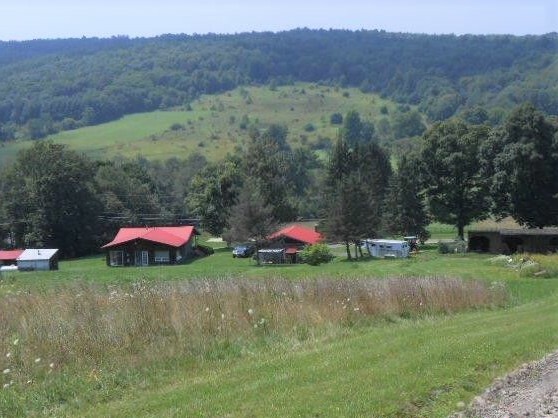 The land is all contiguous!Only 3 1/2 hours from New York, Connecticut and New Jersey, this property is easily accessible from Interstate 81. It takes approximately twenty minutes to get to Binghamton, Cortland and Norwich for all your shopping needs. 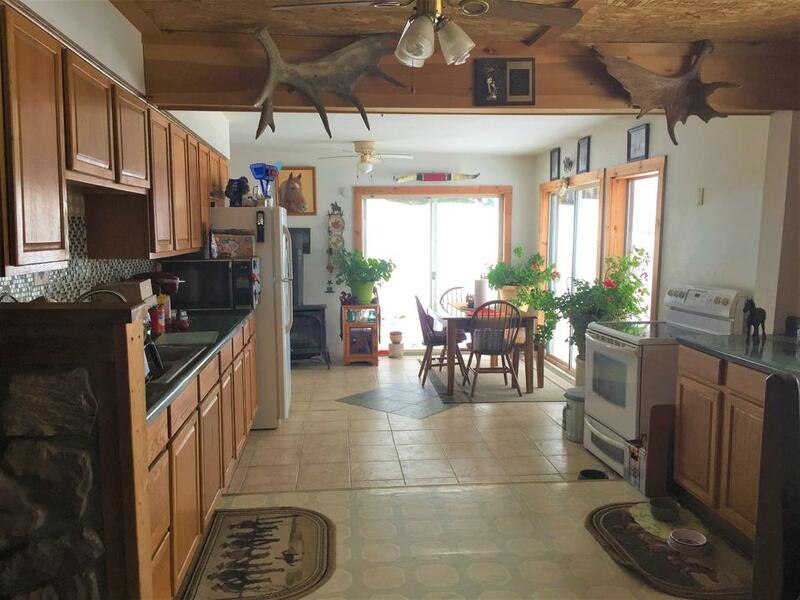 If you like to hunt, trap and fish, this land has it all. There are deer, turkey, coyote, rabbit, squirrel, small and large mouth bass and bull heads. 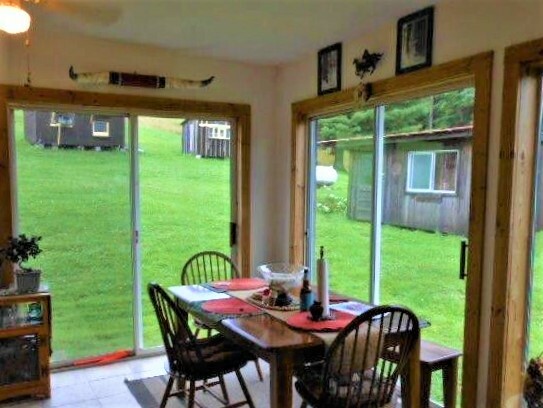 You can find all types of small game right here in your own backyard!The main cabin is made of board and batten, has a Zodiac wood heat stove, a Vermont Castings stove, water, and electric. There is a washer & dryer. It can be a weekend retreat or lived in all year round. The cabin is an open style design with lots of windows for bright sun light to shine in , especially the back which is mostly all glass. 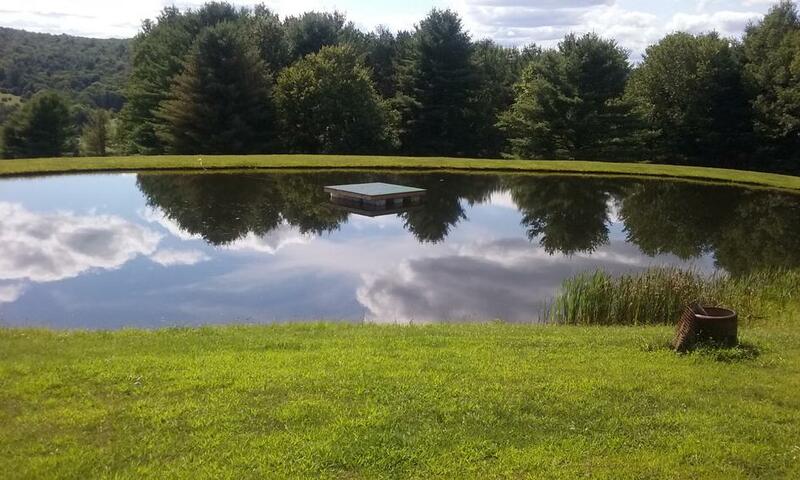 Look out any window to see wild life on the 85 acres of pastures, woods and fields.There are two large ponds - one for swimming and one for fishing -- both a few minutes from the main cabin up through the woods to the top of the mountain which has a park like setting feel to it. There you will see spectacular views but best of all, there is complete privacy -- no one can see you. 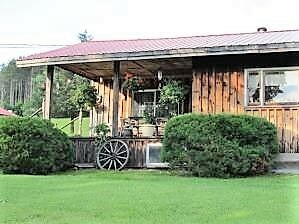 The 2nd cabin is an Amish built cabin which was just remodeled with tongue and grove pine on the hill facing the swimming pond. The woods have trails throughout the land, so bring your horses or your ATVs.If you want to raise some livestock, there is a horse barn (new metal roof 2019) that doesn't have to be used just for horses. There are two box stalls, one standing stall and one breeding pen. There is also a stallion corral, round pen and a riding arena on the hill. There is a garage and several outside buildings on the property for poultry or just used for storage.Lots of state land near by. Snowmobile clubs and trails all around. If you like to ski, the newly renovated Greek Peak Ski Lodge is only a few towns away.